The two-stage hydraulic blower throws snow up to 45 feet. Featuring electric (standard-flow models) or electric-over-hydraulic (high-flow models) poly-lined chute and deflector make it easy to direct the snow. 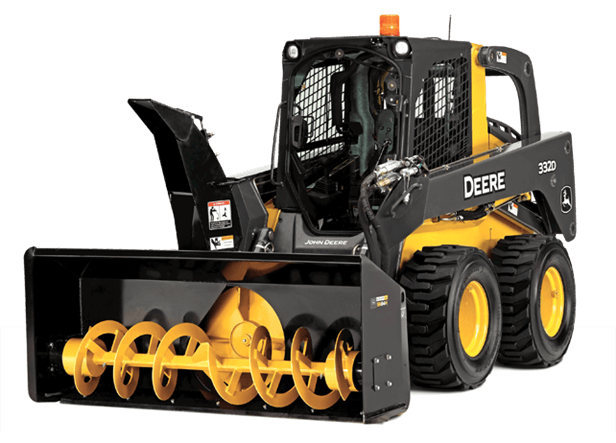 Like all Worksite Pro attachments, these snow blowers are optimized to work with John Deere Skid Steers and Compact Track Loaders, and are compatible with most competitive models.